The days of standing in a grocery store line waiting for the patient mother of three to finish sorting through her coupons she painstakingly gathered and clipped the night before, may be approaching extinction. Last year, digital couponing for the first time ever surpassed the use of print coupons. As retailers search for ways to gain new customers and increase sales through current and newshoppers, they must set their sights to the changing world of coupons and discount shopping. For 2016, shopper stats speak volumes to a rapidly changing retail industry. Inmar reported the use of Load-to-Card (L2C) coupons rose to 20% in 2016, marking the fifth consecutive year digital coupon use has grown by double digits. On the other hand, the use of Free Standing Inserts (FSIs) or print coupons such as those found in Sunday papers and local circulars/mailers declined by 10%. Furthermore, of the 89% of shoppers reporting they had used coupons at least once in the last 3 months, 31% admitted coupons made them buy more of the promoted product than they had originally planned. The significance of these statistics is two-fold. First, it reveals among shoppers a growing reliance upon and expectation for quick access to relevant offers. Second, these statistics translate for retailers, new opportunities to engage shoppers with brand awareness, motivate shoppers to buy more, and appeal to shoppers to consider new, relevant products. Of course, the fact that print coupons would someday succumb to their digital counterparts comes as no surprise to the marketing industry. In 2012, eMarketer projected digital coupon users would grow to more than 100 million, with 1 in 4 mobile users expected to use digital coupons. They weren’t too far off. Of the 2.2 billion coupons redeemed in 2016, mobile users accounted for 82% of all digital coupon usage. Digital coupons include SMS promotions (texts), online retail and manufacturer coupons, coupon-specific apps like RetailMeNot, Cheapism, and The Coupons App, email offers and mobile barcodes. In addition, daily deals sites and apps offer time-sensitive discounts that attract new audiences and promote new products every day. This trend does not appear to be changing course anytime soon. 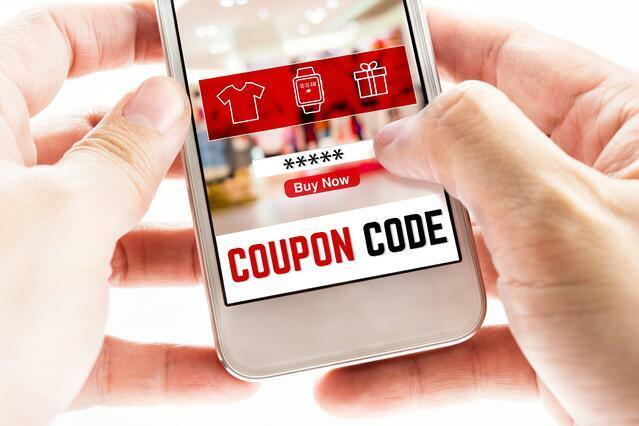 In fact, as retailers look to find fresh, innovative ways to compete with titans like Amazon, Target, and Apple, it will be wise to invest time and resources into developing a digital coupon strategy. Look for upcoming tips on our blog.